In all the hustle and bustle of being a hot pregnant mess and moving into a brand new house, I managed to take a few photos of my house before it was sold. Partially to give a long overdue blog tour, but mostly because I knew I was going to miss the heck out of it. It was my first house, after all. And it was mine, all mine. 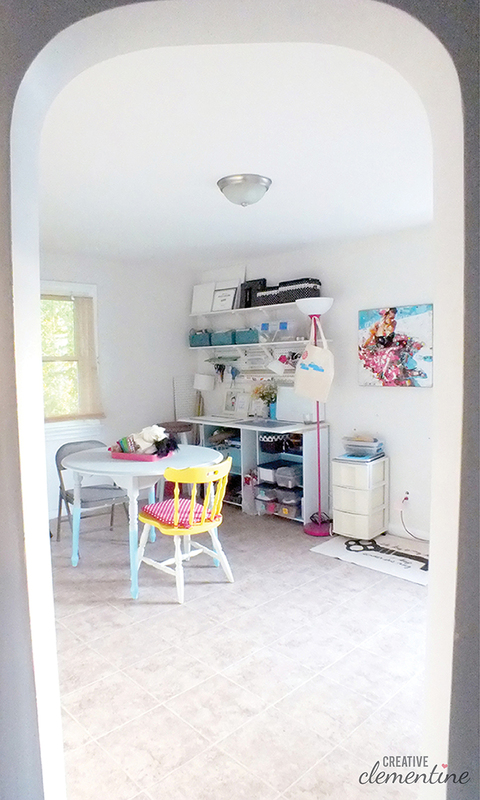 I thought it would be cruel to not start with the craft room. After all, that post was promised to you a long time ago. 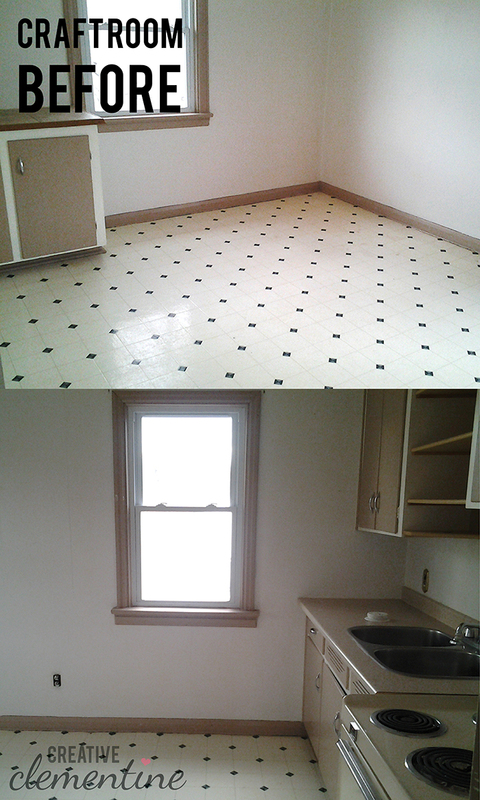 For the sake of being thorough, I won't make you go all the way back to the original post to see the before pictures. 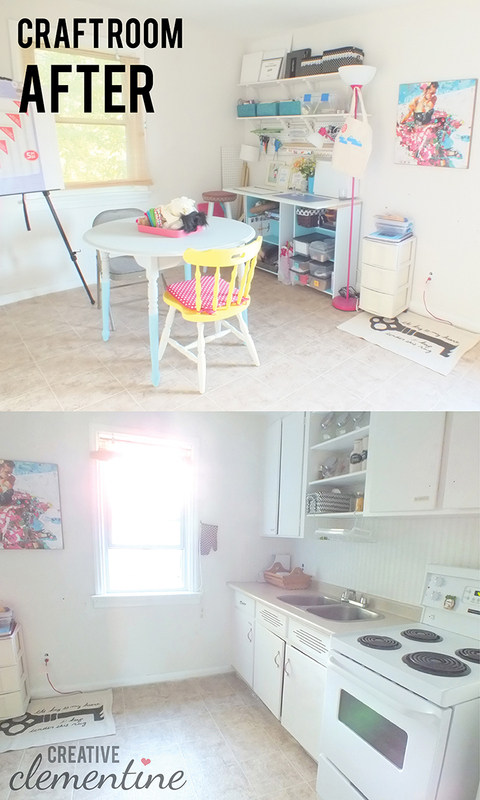 Here is a look at the kitchen-turned-craft room from the Clem Cottage-style house. 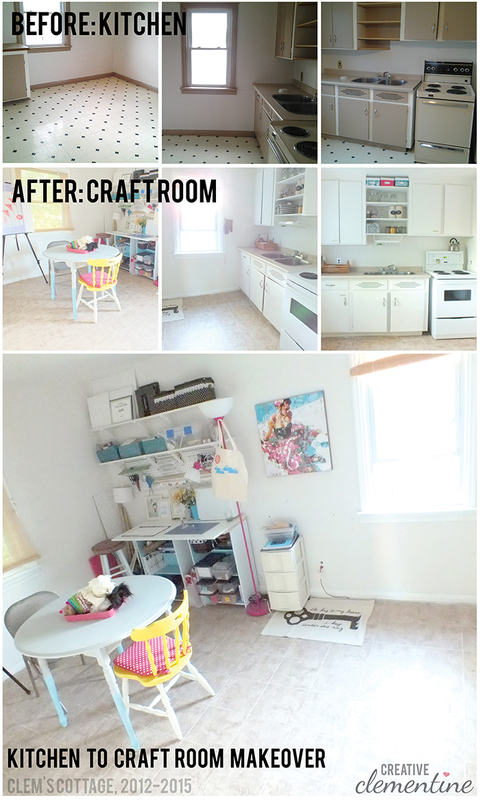 You can read about why I decided to use the kitchen as a craft room here. 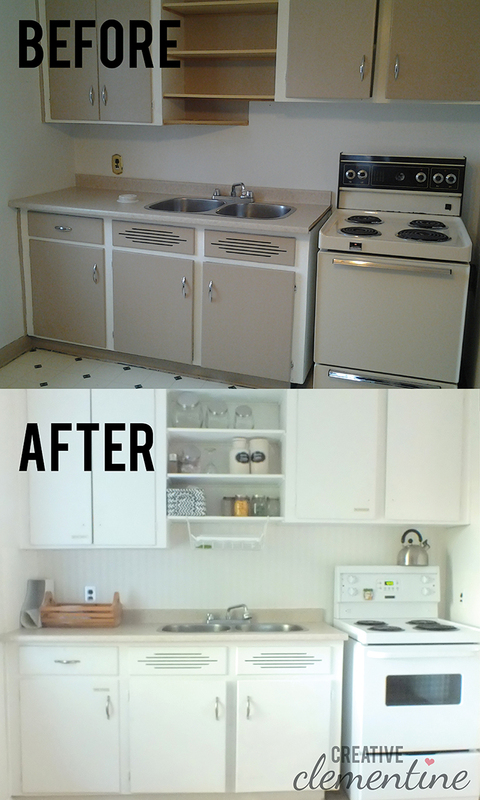 Also, just in case you missed the subtleties of the before and after, I've over-emphasized them below. I'm annoying like that. I had just over three glorious years with this beast of a room. It was a handy room for my various adventures. 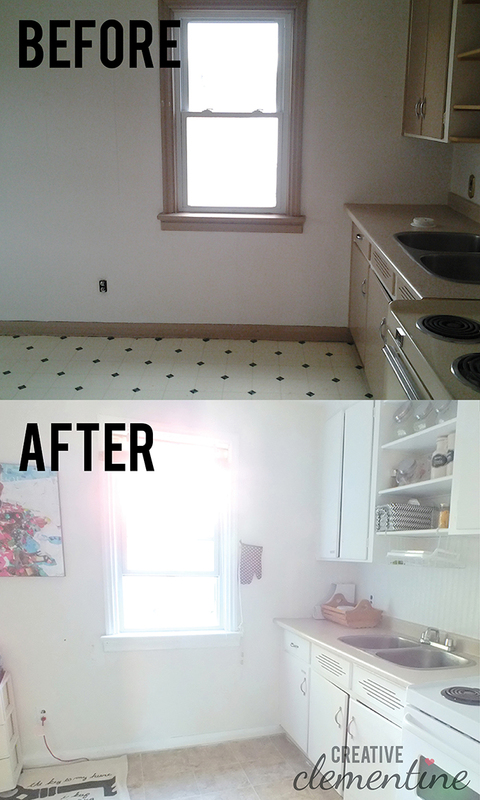 Having a sink and stove for dabbling in lotion-making as well as baking was dreamy. 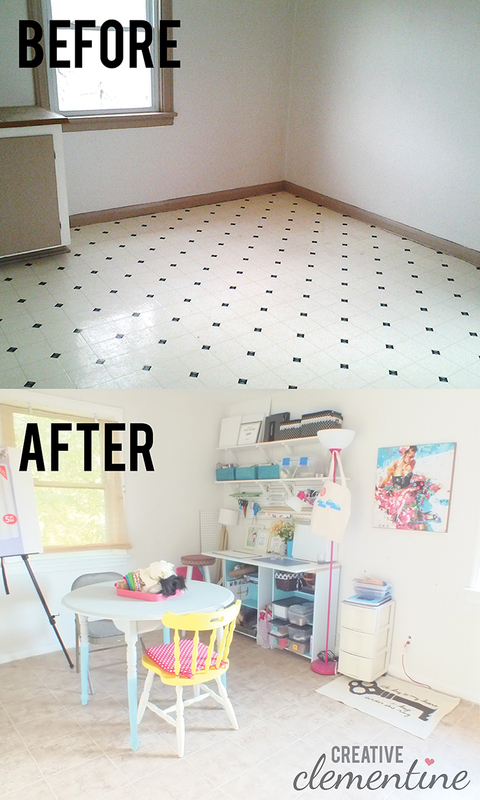 It's fun to make a mess of such a bright, roomy space. Here's the view as I used to see it from the top of the stairs, next to my bedroom. The rounded doorways were sweet, weren't they? I may have gotten a little nostalgic and teary-eyed pulling together this post. It was fun while it lasted, old room. Does anyone else get nostalgic over past homes? Whimper with me in the comments! oh man... I totally miss my last place in Vancouver. View of the mountains. Now I look at the house next door that's been under renos for 4 years :( My Mountains. 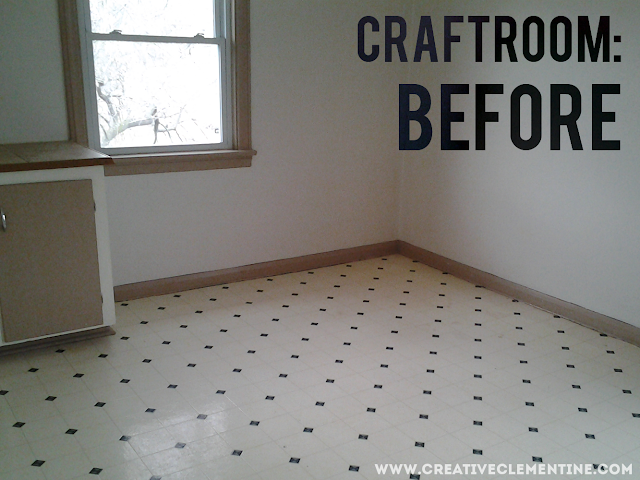 Can't wait to see what crafty makeovers you have in the new house!